Particularly well suited for rough service. Ideal for use in chemical and plating applications. 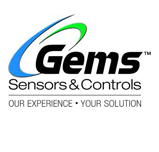 Gems™ Opto-Pak© Controllers convert standard 110 VAV line current to the 12 VDC input power required for many of Gems solid state level switches. These controllers may be used with all Gems electro-optic sensors operating on 12 VDC. Opto-Paks© provide a SPDT, 5 Amp relay output for direct control of moderate loads. Two models are available: an open circuit board version for incorporation into custom enclosures, and self-contained, NEMA 4X model pictured here. The CAP-100 series offers a unique level sensing solution for a wide variety of bottle types including plastic, glass and fiberglass. The non-contact sensor is ideally suited for medical applications such as waste, reagent or diluent liquids as well as dark, sticky or viscous fluids. The easy-to-calibrate sensor is available in both aqueous and non-aqueous versions and can be delivered with factory preset sensitivity for quick installation for OEM orders. The CAP-100 may also be used as a proximity sensor to detect the presence of solids such as paper or pulp. The CAP-200 Series is easily threaded directly into 1/2"NPT fittings for an easy level sensing solution within a wide variety of metal and non-metal tanks. The highly accurate sensor is built from durable Delrin material, and is available in both aqueous and non-aqueous versions. The easy to calibrate sensor can be delivered with factory preset sensitivity for quick installation by OEM. The CAP-200 may also be used as a proximity sensor to detect the presence of solids such as paper or pulp. 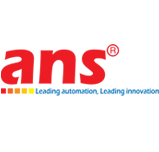 © Copyright 2011 Gemsensors Vietnam, All right reserved.